Nursing homes are run mostly by charitable groups providing final stages of care to the elderlies. Global healthcare expenditure has consistently risen but incomes have not kept pace, and Malaysia is certainly having difficulties keeping up. Natasha Gulati, industry manager at Frost & Sullivan, said that private healthcare expenditure has grown at par with total expenditure. Fabian Boegershausen, country manager at Solidiance, enumerated some of the high level observations on healthcare in Malaysia. In the regional context, Malaysia is above the emerging markets in per capita spending for healthcare but still far below a benchmark country like Singapore. An ageing population and ongoing urbanisation impacts the overall need for healthcare, the mix of healthcare requirements, and the population’s ability to finance its healthcare needs. The economy has performed sluggishly in the past years, hampered by low oil prices and lower FDI investments, better than the Middle East but behind emerging markets. Overall healthcare spending has consistently outgrown key indicators in Malaysia by almost twice the growth factor, following the global and regional trend. Public healthcare budgets remained stable and recently picked up again but are expected to grow only slowly in the midterm future as government income is constrained. Private spending is expected to keep outgrowing public spending, making up for the lack in public coverage — which is technically universal but full of gaps and bottlenecks. The supply of private healthcare facilities is ill-balanced. Since 2014, private facilities have tended to reduce capacity and may pick up only slowly. The coverage by private insurance is still very low, people focus more on general savings and life insurances. Malaysia has a healthcare spending per capita at US$455, which is one of the highest in ASEAN where the government plays an active role. Vietnam is also showing a promising start with 7% of GDP spent on healthcare. Indonesia ranks low for healthcare per capita amongst is picking up with the growth of the middle class and increased government spending. Healthcare expenditure is similar to that of Malaysia but with a much larger population, the healthcare spending per capita is half of Malaysia’s healthcare spending per capita. Almost 70% of the approximately 50,000 healthcare staff in Malaysia are serving in public hospitals but the Ministry of Health still recorded a shortage in healthcare staff at public hospitals. Public hospitals hold 75% share of the total number of hospital beds in the country, but trends show that private hospitals are gaining more share in the past decade. Malaysia has one doctor for every 633 people and one nurse per 333 people. In the past decade, the number of doctors in the public and private sectors increased by around 50% and 20%, respectively. Do we have enough staff? In terms of the number of nurses, there was an increase of about 40% in public sector nurses, and more than 50% increase in private sector nurses during the past decade. The middle class households in Malaysia have the highest average income in Southeast Asia, apart from Singapore. Suresh Ponnudurai, CEO of Malaysiahealthcare.com and World of Wellness, wondered what strategies are being rolled out by healthcare firms and hospitals to keep luring medical tourists in, and what trends are currently in play and what challenges are players likely to encounter due to these trends. Medical tourism is a US$55 billion industry that has opened up the doors to quality treatment for people everywhere. This industry has expanded by leaps and bounds whilst constantly evolving to surpass previously set standards. Senior living remains a relatively new concept to Malaysia, said Boegershausen. Presently, nursing home is the place that focusses on the final stages of care and majority are run by charitable organisations. The population who are 65 and above remain below 10% of the total population of Malaysia. A recent study shows that approximately 70,000 active 54-year old EPF contributors have an average savings of just below RM167,000 (US$38,973) in 2013. 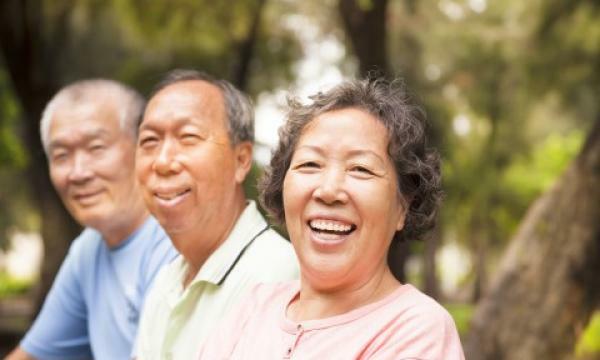 As the average Malaysian is expected to live until 75, this means that for one to retire at 55 the average monthly expenses can only be at around RM700 (US$163.36). A growing senior population will most certainly drive up demand for healthcare, in particular long-term care as well as non-communicable diseases. The top 3 mortality cause has been consistently causing two-thirds of the deaths in private hospitals. Diseases of the circulatory system have been consistently high at 28% for the past three years as the cause of death in private hospitals. Total healthcare expenditure is forecasted to grow at around 6% CAGR minimum, mainly driven by private healthcare — due to stable growth of GNI per capita and health insurance penetration. Percentage share of private sector in healthcare expenditure is forecasted to increase from 48% in 2015 to 55% in 2020. To achieve 11MP, private hospital beds must grow at 5% CAGR to provide 24% of the target capacity, and private hospitals beds must grow at 2% CAGR to 65%. Remaining 10% will be catered by homes and medical centres. Ponnudurai added that the ageing population of Malaysia and in ASEAN is rising sharply as quality of life improves significantly. By 2035, Malaysia is expected to have reached the status of an ageing nation with 15% of the population above the age of 60. This is projected to reach 20.4% by 2050. This looming problem is a global issue for most nations including Malaysia coupled with significant shortages in aged care. The ageing population requires more in terms of healthcare services with nations that have homes to cater for aged care living. Healthcare providers and stakeholders must look to eliminate waste and explore alternative care delivery models like retail clinics,telehealth, and medical tourism for “everywhere care”. These firms are using mergers and acquisitions as well as alliances to consolidate into large health system for economies of scale and to reach more patients. Priorities must be delivering care through mHealth, telehealth, and EMR/PHR, as well as incorporating wearables and social media into their care plans to deliver value in a competitive environment. Additionally, they must address the cost curve and managing health populations with public and private sectors transitioning to financial incentives from the “breakfix”model, to prevention and predictive maintenance. Ganesan Satimuti, head of biomedical engineering in Parkway Pantai, Malaysian Operation Division, said that adoption of technology in the healthcare sector of any country is critical in enhancing delivery of quality healthcare services. Malaysia practices a dual healthcare delivery system. Both the public and private sectors are central players in Malaysia’s healthcare delivery system. Datuk Dr Kuljit Singh, medical director, Prince Court Medical Centre in Kuala Lumpur, Malaysia,enumerated some of the challenges in converting into digital technology in Malaysian healthcare. He cited that the industry must tackle traditional thinking amongst hospital players, elevated costs, more training, partial digital conversion, the system’s 100% dependency, and confidentiality. Healthcare expenditure will continue to rise because of theageing population, according to Dr Milton Lum, a former president of the Malaysian Medical Assocation, the double whammy of non-communicable and infectious diseases, new technologies and increasing patient demands. The need for long-term care and non-communicable disease management will increase for the senior population and an increasing number of young adults. This is inevitable as large segments of the population are unhealthy with diabetes, hypertension, overweight and obesity. Concomitantly, infectious diseases, especially dengue, will continue to plague the public. Despite vector control measures, dengue and malaria prevail with no cure for the former and increasing drug resistance in the latter. Some previously eradicated diseases like rabies are also making a comeback.